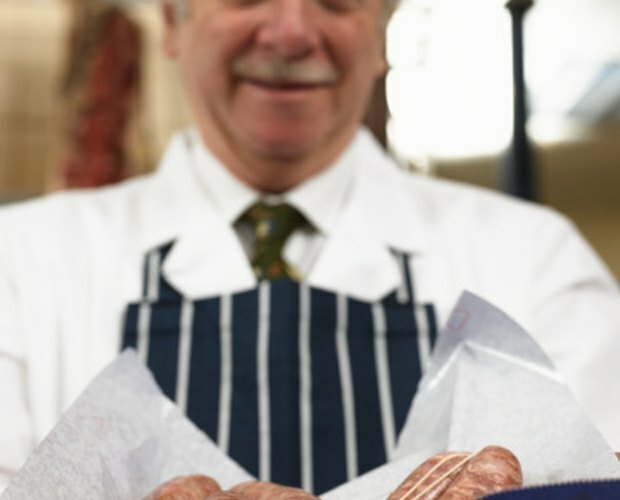 Sausage can come in bulk (ground sausage) or in links. 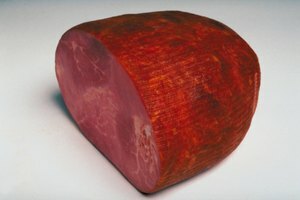 Links can be precooked or contain raw meat. Bulk sausage can be shaped into patties or browned straight from the package. The browning method used depends on whether the sausage will be eaten as part of the meal or combined with other ingredients to make a separate dish, like pizza or sausage gravy. The key is to maintain a constant source of heat and to turn the meat frequently to prevent burning. Place a skillet on the stove top and turn the heat dial to medium heat. Remove the bulk sausage from the package or from its casing, and place it in the skillet. Break the sausage into very small pieces with a wooden spatula or spoon and stir or turn to make sure the sausage is browned on all sides. The sausage is done when it is no longer pink, usually in about 10 minutes. Remove the skillet from the heat and drain the grease by using a strainer or placing the browned meat in a bowl lined with paper towels. Allow the meat to cool to room temperature, and you can add it to other recipes, such as turkey stuffing. Place the link sausages on a grill or skillet on medium-high heat. 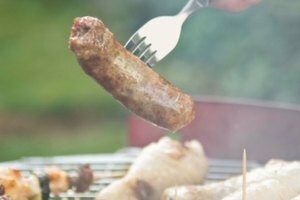 Poach the sausages in water for 5 to 10 minutes and then add to the grill or pan if you are using thicker sausages. 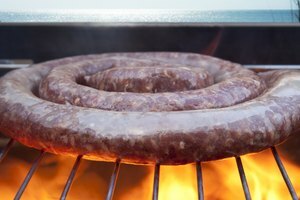 Place the sausages away from direct heat if you are grilling them and cover the grill. Turn the sausage as needed with tongs to allow the sausage to brown without burning. 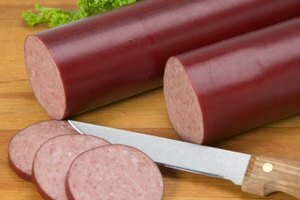 Check the color of the sausage to see if it is turning a dark brown. Remove it from the skillet or grill once it has browned and place it on a plate lined with paper towels to absorb any excess grease. When browning bulk sausages, put only enough sausage to cover the bottom of the skillet. If more is needed, brown the meat in batches. Usually the fat in the sausage will be enough to prevent sticking. If needed, a small amount of cooking oil or nonstick cooking spray can be used before adding the sausage. Using a nonstick skillet will also prevent sticking. Protect your clothing from grease spatters by wearing an apron. Keith Manning specializes in topics related to finance, accounting, business management, technology and golf. He holds a Bachelor of Science in accounting from North Carolina State University and a Master of Accountancy from the University of Florida. Manning also holds software and hardware certifications from Microsoft and IBM.